Transient Random-Noise Bursts With Announcements (this album) (1993). Sorry, no matches on eBay for "Our Trinitone Blast Stereolab". Showing latest 5 ratings for this track. | Show all 30 ratings for this track. 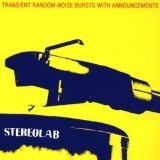 Related links: top tracks by Stereolabtop tracks of the 1990s, top tracks of 1993.